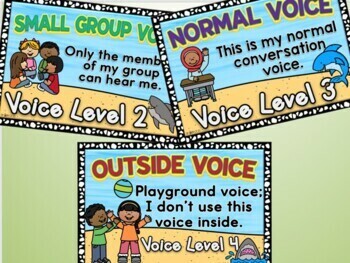 Use these charts to help your students recognize what voice level they should be using in the classroom. The set features a picture that coordinates with the statements on each card. 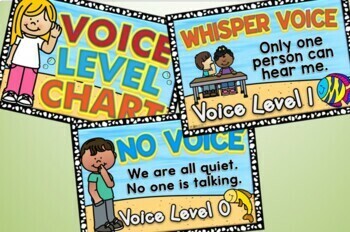 I use these to refer to the different voice levels that we use in the classroom; it is a great anchor chart to have in the classroom. It is used with a clothespin to indicate what level we are using at that time; students love looking at them to see where the clothespin is and what voice they should be using. I attached my cards with small metal rings to make the chart. Pretty ribbons can also be used. 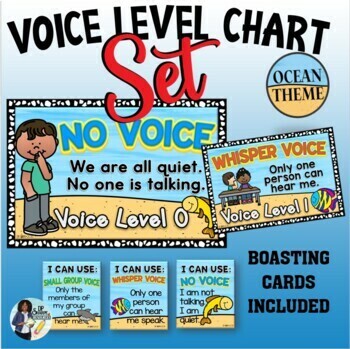 Also included are matching brag tags to further enhance your classroom management and for positive reinforcement. 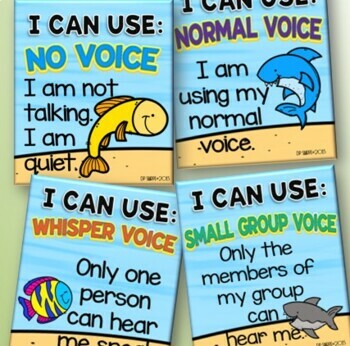 They feature “I Can” statements and match with voice levels 0-4.